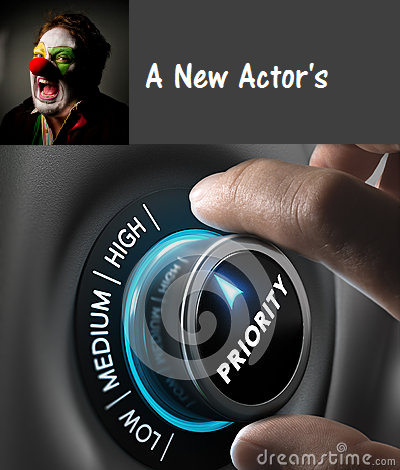 """ keywords'/> "" " Actors! Are You Failing? Follow These 7 Steps To Prevent Collapse | Best Actor Academy-The Monster Of Free Acting Tips ""
Anyone new to acting is undoubtedly excited to launch their career. But to avoid frustration and spending a lot without tangible results, you need to prioritize how to spend your time and money. Here are four steps to make the best use of your resources for the long haul. I meet a lot of talented actors just starting out, and one thing many of them have in common is wanting to do it all: theater, film, TV, commercials, voiceovers. The problem with not being specific about your goals is that your time and energy become fragmented and scattered, which can quickly lead to disappointment and burnout. Pick one or two areas to focus on for the next year. This will automatically narrow down which classes to take, casting directors to target, headshots, and auditions. Once you get traction in your chosen area, add another down the line. Look back over the past months and make note of your income and how you spend your money. Then create a realistic budget that covers your living expenses. (Try Mint or You Need a Budget.) Whatever’s left will be earmarked for acting. Set up a separate account for your acting career and make a deposit every month for your expenses. Even a small amount saved every month will add up over time. This will keep you honest about what you can afford. If there’s nothing left for classes, work on monologs in front of a mirror or organize a rehearsal group with friends. Everything helps. Free ways to live and pursue an acting career. “So you can’t get headshots, take classes, or attend auditions right now, correct? OK. Let’s look at what you can do. "There are dozens of free/cheap ways" to cultivate your chosen profession without spending a single Rupee or dime, and others that cost very little. For example, read all the posts of this blog and practice either with your friends or in front of a mirror. There are 29 actors who have learned acting free from this blog and are now actors in film and serials. Read, read—plays, monologs (let these be in English-translate into Hindi), watch selected Hollywood or Bollywood films, biographies, books on acting technique. Shop only "discount and coupon sales". Sales are your best friend. Look for coupons and discounts anywhere you can. You may not always be able to afford new clothes. login Indian fashion sites like Flipkart, Jablong, and many others and look for cheaper clothes and your other needs. Yes, I have seen many aspiring actors who go on working for projects spending their own money to (pseudo) casting directors for getting a break, travel, food, wardrobe and for other miscellaneous expenses. Most of these projects either never see a good commercial launch or get confined to YouTube/ Vimeo or to "Festival's". To deal with this, try to be selective as far as possible researching the best ways to make the little bit of money. Never count your money in theoretical terms. “Only count on money you actually make, not what you think might happen. For example, if you get cast in a short film or a teaser, don’t assume that I will be paid. You MUST ask before you accept. Don't be shy. The only money that is real is the actual money you got paid. Actors tend to enjoy their dreams and live in an imaginary world. Don't forget ground realities of a long and ruthless struggle to be an actor, a successful one. There are many absolute and necessary expenses like rent, food, transportation, sickness, networking, technology (mobile, data pack or laptop) etc.